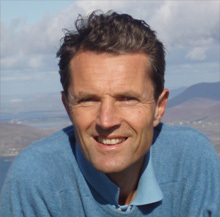 David Lorimer, MA, PGCE, FRSA is a writer, lecturer and editor who is a Founder of Character Education Scotland, Programme Director of the Scientific and Medical Network and former President of Wrekin Trust and the Swedenborg Society. Originally a merchant banker then a teacher of philosophy and modern languages at Winchester College, he is the author and editor of over a dozen books, including The Spirit of Science, Thinking beyond the Brain, Science, Consciousness and Ultimate Reality and, more recently The Protein Crunch (with Jason Drew) and A New Renaissance (edited with Oliver Robinson). His early books on death and near-death experiences, Survival? and Resonant Mind were republished in 2017.